and dry patches in your father’s palms. like small coins hidden in the skin. and the dark pattern of hairs above. and holds out his hand. Ona Gritz is a writer, librarian, and single mother to thirteen-year-old Ethan. She performs this juggling act in Hoboken, NJ, birthplace of baseball and Frank Sinatra, and home to a stellar view of the Manhattan skyline. 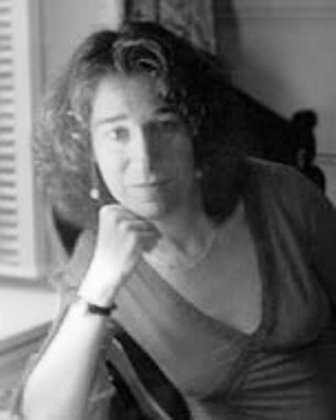 Her chapbook of poems, Left Standing, was published by Finishing Line Press in 2005. Ona is a children's author and a columnist, but she considers poetry her hometown and keeps returning there. Learn more about her here.